Tired of life landing on your carpet? 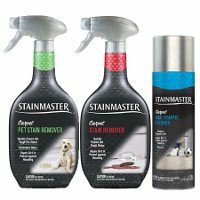 Our new line of carpet care products with breakthrough technology quickly removes tough stains and protects your carpet from resoiling. So keeping your carpet clean and fresh doesn’t have to be a wrestling match.